“We want to encourage manufacturers to consider apprenticeships to future proof their workforce and for young people to consider apprenticeships as an alternative route to a skilled and rewarding career. 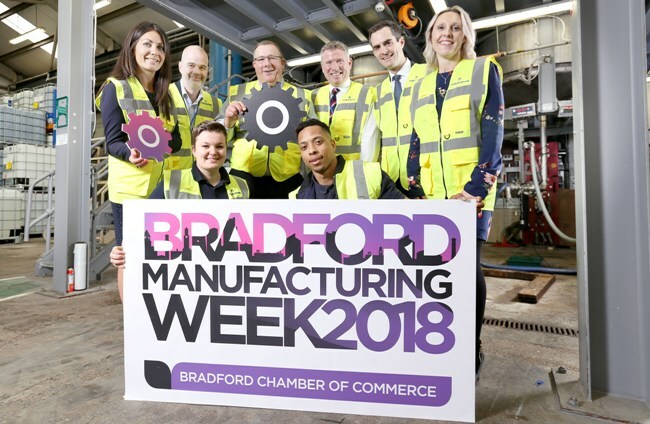 Bradford is an economy built on manufacturing with 1,200 businesses employing 23,000 people – the fourth highest of any city district in the UK. Bradford’s manufacturing GVA output was worth £1.5billion in 2016 accounting for 15 per cent of the district’s total output. Engineering is the district’s largest manufacturing sector, which also includes chemicals, food and drink and textiles. Debbie Mullen, head of manufacturing in Yorkshire for Barclays, said: “Manufacturing is the backbone of the British economy and it is vital we help attract the next generation of talent to lead the industry forward.